Our definition of a child's readiness for school, and a school's readiness for a child, has undergone major shifts in recent decades. Elizabeth Holmes and Dr Pam Jarvis discuss what has changed. It’s that time of year when school readiness guides start doing the rounds and we hear about children who land in primary school unable to take themselves to the toilet, dress themselves or speak the required number of words. For parents, is the message that there’s a ‘not good enough’ element to today’s children? Where once we might have expected schools to develop young learners from whatever their starting point may be when they reach school, is there now an implied standard that too many fail to reach in time? I spoke to Dr Pam Jarvis, chartered psychologist and teacher (among other things!) about why school readiness is such a significant issue now. How useful for children is the notion of school readiness? PJ: 'It reminds me of the phrase as it is used in "oven-ready turkey". We’re willing to pay for oven-ready turkeys because they save us time and effort. If we look at the question in this way, it is for the adults, not for the children, but the issue plays out on the societal level: "the sooner we can condition you to be a consumer-worker the better". 'This was the spirit with which compulsory education began. To work in a factory or a mill, a child needed to have a basic level of literacy and numeracy. For example, "count 10 of these and put them in the box marked cotton reels over there". 'The whole culture of public schooling started with this very perfunctory process in mind, while the sons of the upper (consuming) classes were taught about literature, languages, classics and so on, and the daughters about how to run and furnish a household and dress well. It sounds as though we are, as a society, unclear about what me mean by ‘school readiness’ in the context of contemporary Britain? make him or herself understood to a non-family adult. What do you think has changed (if anything) in the intervening years? What about those children who are raring to go before they reach school? ‘Of course there are always some children who are very "word-oriented" (I was one) who actually want to start reading sometime in the fourth year of life. In that case, fine to help them along with real books, especially rhyming texts (I remember learning to read some of the AA Milne poems that way, with no formal phonics teaching). But that won’t work for all, and should not be expected of all. Children vary so much, even within the same family. Is it wise to have blanket expectations at such a young age? ‘There is a bio-cognitive developmental process that is common to all human beings with some minor variations in terms of "readiness". For example, my son inherited my early reading competence and poor physical coordination, while my daughter spawned in another gene pool and could climb confidently at three and ride a bike with no stabilisers at age four, but she had no time for or interest in reading until she was six or seven and fell in love with Roald Dahl. But we do seem to have a desire to accelerate children. Why do you think that is? What if children are not school ready in each area of competence? What is best practice in school readiness? 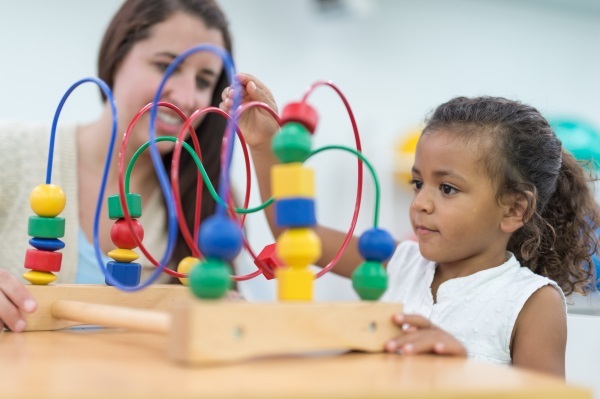 ‘To my mind, functional school readiness is about having secure attachment relationships in earlier childhood, so they are able to make functional relationships with other children and adults in the school environment, and being able to do the basic "self care" things like toileting, hand washing and dressing. 'Families experience many issues in the birth to three stage, for example, insecure employment, poverty (which affects one third of all children in the UK), lack of family and community cohesion which creates problems with attachment that then knock on to being ready (or not) to move out and spend some time in the wider world with other children and non-family adults. When we speak about school readiness, there is an implication that ‘school' means the same thing to all people in all areas, when in reality, they vary. 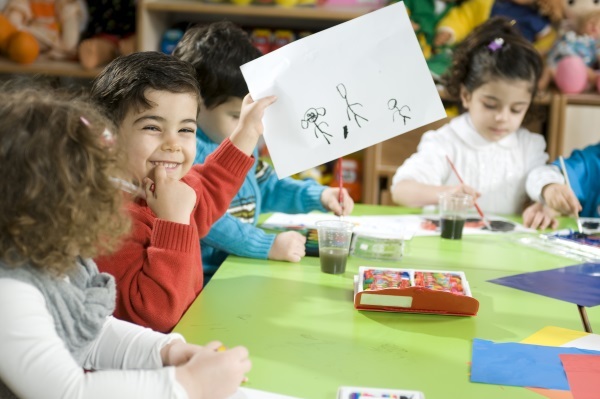 ‘We have to closely interrogate whether school readiness means ready to move into a play-based learning regime from 9.00am to 3.00pm, Monday to Friday, or ready to move into a formal environment. With respect to four to six year olds I would say they are very ready, and developmentally enhanced by the former, and unready and developmentally damaged by the latter. Is there anything we need to be aware of in encouraging children to be school ready? What further reading do you recommend on school readiness? Dr Jarvis’ book, Early Years Pioneers explores some of the issues raised in this piece.